Mexico, 1881 only you and the three Taco brothers can save Santa Maria from Captain Diaz and make a few pesos doing it. Jump aboard this burro for some great slot fun. The story, as laid out in Taco Brothers’ opening animation, is this: in 1881 the utopian Mexican town of Santa Maria enjoys free tacos for all until Captan Diaz took over the city. In response three brave brothers rose up. Now Paso, Pepe and Pico fight for "freedom and for tacos". A noble cause if there ever was one. This blatantly silly set up is supported by fantastic, cartoonish art of the three brothers, as well as plenty of other stereotypical Mexicana: tequila bottles, mariachi guitars, and wild west safes. The animations for this art are slick and varied with all the little flourishes that make a top tier slot feel that much classier than the average. Little things like fading out of non-winning symbols and side animations of gold falling into the player’s bankroll bar all add to the experience. Even the soundtrack has been created with maximal class and if you don’t like it they put the mute button up before you even open the game. 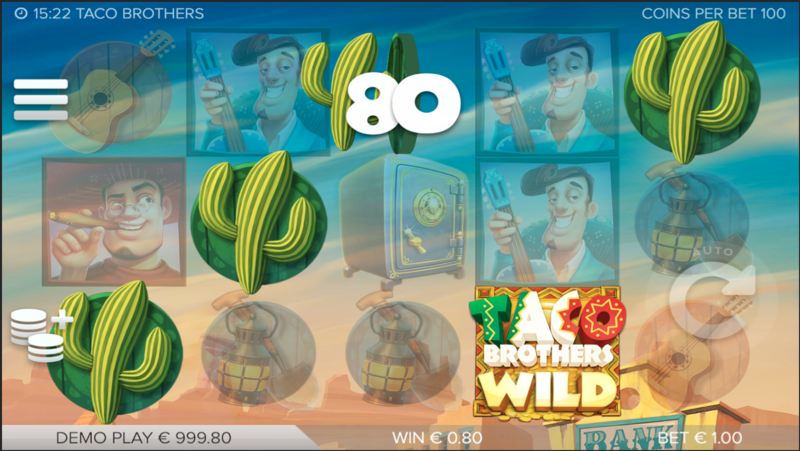 Taco Brothers is a 243 ways, five reel slot. The gameplay is simple with just the bonus features listed below to break it up. 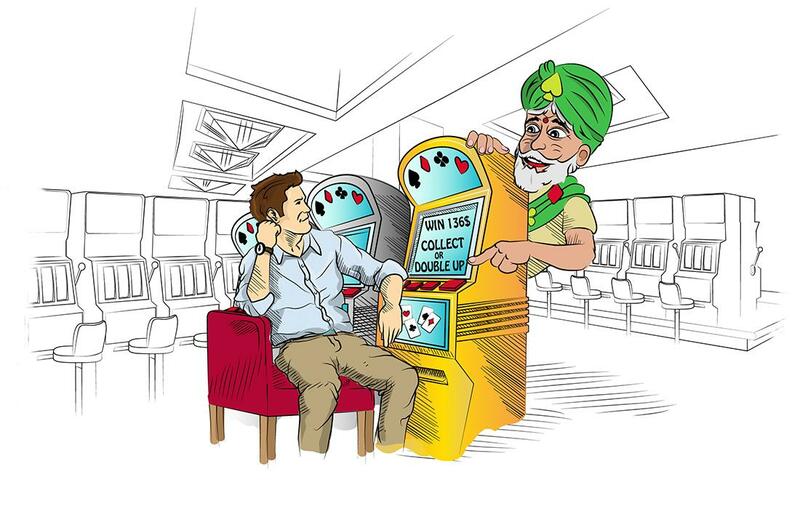 But the slot is of such high-quality that it is a delight to play just for that reason. 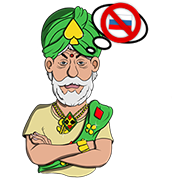 The game also comes with a betting strategy button, that automatically changes your bet according to the chosen system (for example the leveller increases the bet after every five consecutive losses). Although none of the strategies works well with our recommendations, it's an interesting innovation that definitely adds to the game. Taco Brothers has three special symbols. The Wild, Taco Wild and Bonus symbols. The Wild symbol plays as any symbol other than the Taco Wild and Bonus symbols allowing you to rack up wins. 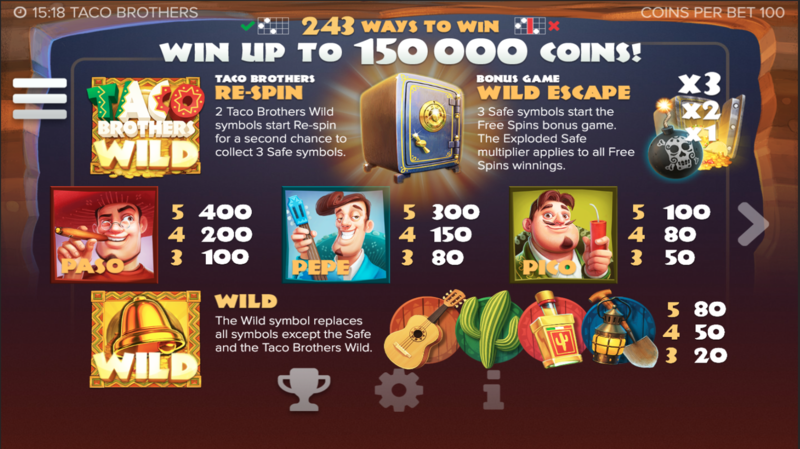 The Taco Wild allows a respin for a third Bonus symbol when two fall. The bonus symbol itself triggers The Wild Escape bonus game. In this game one by one each brother is dropped onto reel 5 as a "Running Wild" which moves to the left each subsequent spin and otherwise plays like a normal Wild. 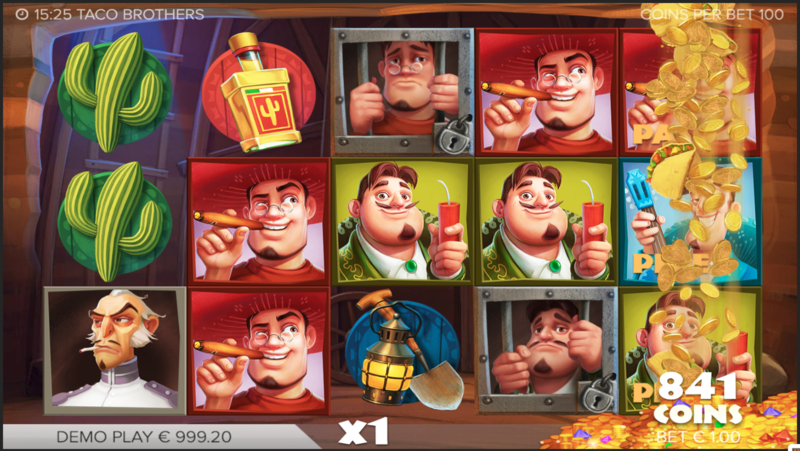 The game comes to an end when all three brothers make it all the way across (15 spins in a normal run) or end up in jail (see below). 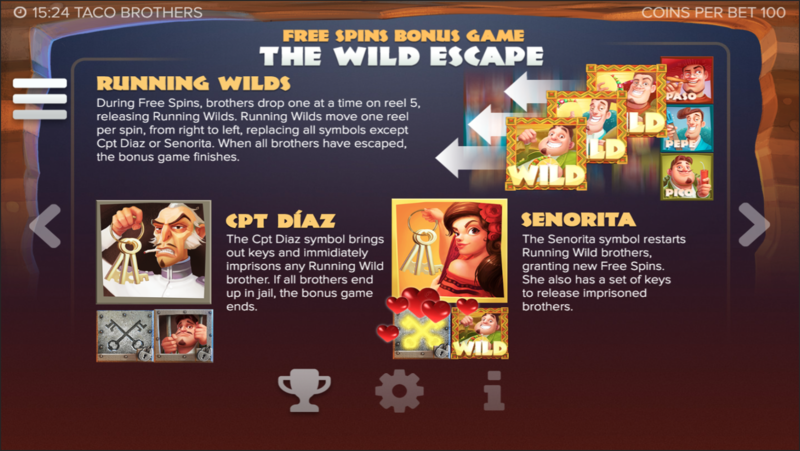 Two further symbols are part of this game: Captain Diaz – who when he lands locks the Running Wild in place and deactivates its ability to play as a wild – and Senorita – who resets the spins sending any of the three brothers that isn't locked to the start, sets free any locked wild and therefore adding many extra free spins. The RTP of this slot is a pretty average 96.3%. This is a low to medium volatility slot which means although you are very unlikely to win big, there are plenty of little wins going and you do trigger the fun bonus game with pleasing frequency. 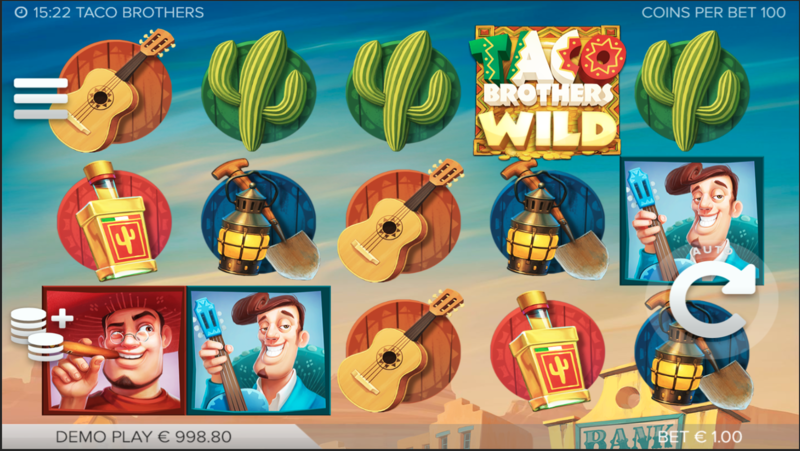 Taco Brothers is a fun, good-looking slot with a great bonus game and a decent RTP. 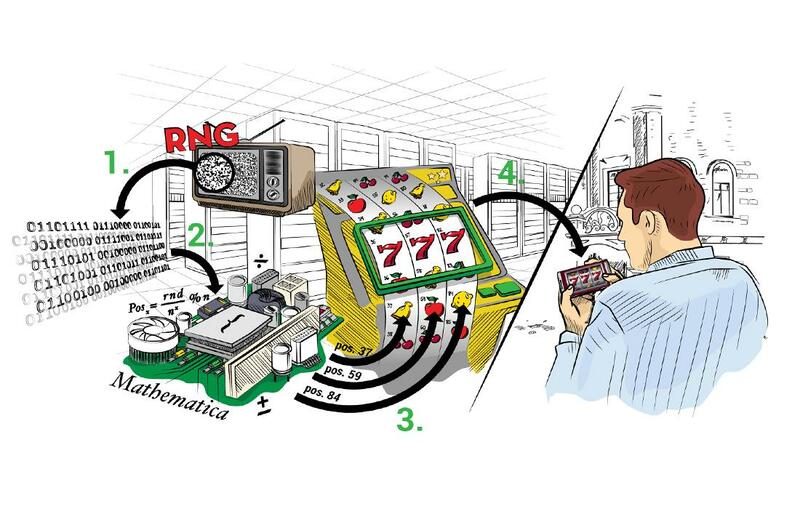 If it allowed for our preferred high-variance strategies it would be a perfect slot. As is, it is just very good.